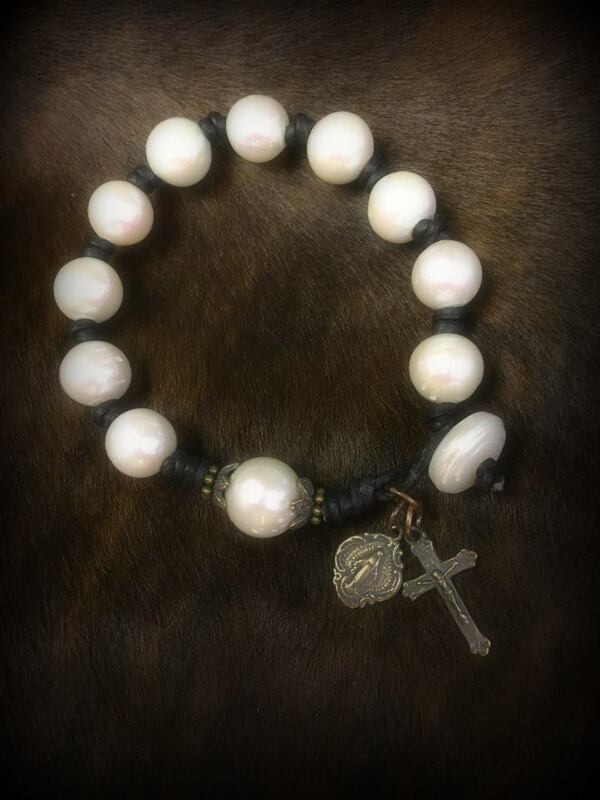 Description Rosary Bracelet using leather and large pearls. Pater is large freshwater pearl with bronze caps. Bronze crucifix and miraculous medal dangling off of loop closure.